Bacterial infections in babies require diagnosis and care to ensure your infant's best health. There are a number of major and minor infant bacterial infections, so seeking consultation with your pediatrician can help you sort out what your baby needs to return to health. It's natural to be extremely cautious when it comes to the health of your precious baby. When an infection occurs, you don't know how serious your baby's illness may become; therefore, seeking prompt treatment may ensure the infection doesn't worsen. Your baby will likely display obvious signs he isn't well, particularly if he has a bacterial infection. Parents are usually familiar with how their infant feels to touch. An baby with a fever may feel hotter than normal, particularly around the head and trunk. It is a good idea to keep a thermometer in the house to be able to check on the actual temperature, particularly if symptoms are associated with others of concern. You should also ensure there is not a more obvious cause of his elevated temperature. When a baby is teething, for instance, he is likely to have an associated fever. Treatment for your baby's fever depends on her age. Only give medication as recommended by dosing instructions on the bottle. Seek advice from a qualified pharmacist or physician, particularly if you haven't offered this medication to your baby before. Keep your baby cool by removing non-essential layers of clothing and applying damp cloths to his body if his temperature becomes worryingly high. If his fever does not subside after administering medicine and 'cooling' him by other methods, or if his fever is extremely high, seek medical advice. Is Your Baby Feeding Normally? If your baby has a bacterial infection, you may notice changes in her appetite and feeding regimen. She may be lethargic and sleep more and therefore be less likely to demand her usual feeds. As long as your baby remains hydrated, feeding less is not a major concern. If your baby is growing dehydrated, she'll have fewer or no wet diapers and require fewer changes. If you suspect your baby is dehydrated or has poor feeding patterns, call her pediatrician. When your baby is sick, offer smaller feeds more frequently. If she gradually demands fewer feeds over time or vomits following a feed, seek medical help. In cases of serious infection, infants may require hospitalization in order to receive the required fluid via an intravenous infusion (IV). Is Your Baby Lethargic or Has Her Sleep Pattern Changed? For a tiny infant, even a minor bacterial infection can have serious effects, and infant care for bacterial infections requires you to observe for even subtle changes, such as altered sleep patterns. It doesn't take long for an infant to establish a relatively accurate sleep pattern, and when she's unwell, the amount of time she sleeps is likely to increase. Allow your baby to sleep. Just like when you're sick and need more sleep, your baby's body is tired trying to fight the infection and needs rest. If your baby becomes listless and less responsive than usual, call your pediatrician. Is Your Baby Irritable or Is He Displaying Behavior Changes? You know your baby well and recognize his normal behavior. If he becomes restless and irritable, and you know it's not because of hunger, pain, or a wet or dirty diaper, then it is likely there's a more complex reason for his behavioral changes. This behavior may be associated with other symptoms detailed above, or it may be an isolated problem. Monitor your baby's behavior. If he is acting out of character or you just feel something is wrong, call his pediatrician. Not unlike adults and older children, it is not uncommon for newborns and infants to be exposed to seasonal illnesses throughout the year. 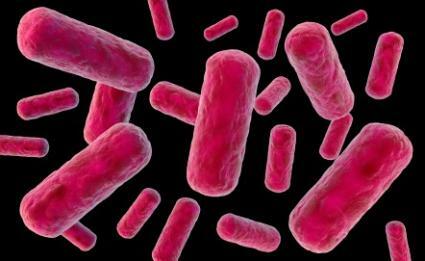 Bacterial infections are the most common cause. Colds typically cause a runny nose and elevated temperature in some children. Treat with plenty of rest, nasal aspiration, and fluids and seek medical care if the cold seems to be worsening. If your baby has an upper respiratory infection, she may have common cold symptoms such as congestion or a runny nose, as well as a cough that produces coloured sputum (phlegm). Visit her pediatrician for medication to fight the infection and control the cough. Allow your baby to get plenty of rest and fluids. If your baby has diarrhea and/or vomiting, this may be caused by bacteria in the digestive tract. Keep your baby hydrated and visit your pediatrician as soon as possible. If your baby has a urinary infections (UTI), he may be uncomfortable, cranky, and have off-colored or foul smelling urine. Certain pre-existing conditions can make your baby more susceptible to urinary infections. Your doctor will need to test your baby's urine for a UTI and may prescribe an antibiotic to help fight it. Keep your baby hydrated if he has a UTI. Bacterial meningitis is an inflammation of the brain tissue caused by bacteria. It can be life-threatening in babies. Fortunately, bacterial meningitis is less common than the above ailments in babies, but due to weakened immune systems, infants are at a greater risk of problems such as meningitis. If your baby is vomiting, has a high fever, is irritable or listless, has a high keening cry, is experiencing seizures, has an unusual rash, and/or you otherwise suspect she has meningitis, it is essential you seek immediate care and treatment. Meningitis requires treatment by medical professionals right away to improve prognosis. Sepsis is a rapidly spreading infection that has gotten into your baby's bloodstream. It usually occurs as a complication of another bacterial infection, although in very young babies and newborns, it may occur due to a mother's complications during pregnancy. It is a life threatening and dangerous illness that requires immediate medical care. If you suspect your baby has sepsis, do not wait and watch. Take him to the nearest emergency room. Babies with sepsis may be weak and lethargic, have a poor sucking mechanism, off coloring, and experience a decreased heart rate or troubles with breathing. Newborn infants have poor defense mechanisms and can become unwell very quickly and easily, particularly in the first year of life. It's up to you to be vigilant and act appropriately at the first sign of your baby's illness. Infant care for bacterial infections can be as simple as adequate fluid maintenance and temperature control. Often if the infection worsens, antibiotic medication is necessary, which fortunately infants respond to very quickly. It is never a problem, particularly with a newborn or first child, to be overcautious about her health. If you suspect your baby has an infection, even if symptoms are non-specific, have her checked out by her pediatrician. Serious illnesses such as meningitis can take hold of your baby very quickly, so prompt assessment and treatment is crucial. Never assume or take risks with the health of your baby.